Insight — newkleus At newkleus, we love sharing our thoughts and insight. This is our blog to help spread information to the world. Some big nuggets from Mark Zuckerberg's post. "You can expect to see more from your friends, family and groups," Zuck said in the announcement. "You'll see less public content like posts from businesses, brands, and media." Brands, sports teams, musicians, radio stations, etc. Take note. We built newkleus to alleviate this very situation. None of the major social media websites were strategically built for brands. At newkleus, we believe you should have direct connections with your fans, followers and customers. You should know their names, their email addresses, etc. You should engage them directly and activate them into micro-influencers for your brand, letting them use their social networks to authentically increase engagement. We built newkleus to maximize user generated video (UGV) for brands. If you're ready to take your brand to a new level, we're here and can launch branded UGV platforms in 2 weeks or less. The Direct Selling Industry is not known for being advanced from a technology perspective. We have a perfect solution, which is very innovative and we're looking for brands who want to stand out. Our technology is based on: user generated video, storytelling, experiential marketing, culture, community, etc. What we have does not exist today in the direct selling space. Every company needs it. Let's go! To read the full Inc.com article, click here. As with most articles, some good nuggets, but don't agree with everything, especially #14. The Tech Giants need to be a part of your strategy, 100%, but don't surrender, there are millions and millions and millions of people who "tolerate" or dislike Facebook. The one common item however, is cater precisely to the customer. Pretty cool technology, but still missing our newkleus engagement framework. "The opportunities over time as we learn more about fans are endless," Sampat said. "There's a real important transformation taking place between the physical world and the digital world, which makes these stadium and arena projects so interesting to us." "Direct selling’s greatest strength is its ability to tap into the power of communities. The internet is changing how everyone communicates. This has an impact on the direct selling community. The most successful direct sellers will win by continuing to set down stakes in the most relevant communities, but they will also use a smart web presence to differentiate themselves from their competitors and bring direct selling into the 21st century." User generated content (UGC) is 50% more trusted than any other form of media. It's critical for brands to execute strategies related to UGC. And direct selling companies must leverage their strategic differentiators to their advantage - their passionate customers and field representatives. The chart speaks for itself - tough time for retailers. Patents, innovation, efficiency and transformation core to their business model, Amazon is crushing brands. We feel one thing missing however - culture. If you are going compete with Amazon on price and logistics alone, you will lose. But, developing a strong culture with core values, great product and a powerful social mission - now you have something special. Be Open to Changing "How Things Are Done"
Retailers - here is an excerpt for you: "Retailers have to absolutely start building up their Amazon or direct-to-consumer capabilities, and there's just really no option. The reason we're seeing such enormous disruption in retail is many legacy or traditional retailers have been putting their heads in the sand for the last three to five yeas, and we're starting to see the cracks as consumers increasingly go online to shop. And: It's going to get way worse before it gets better." Saw this commercial on TV tonight -> click here to view. 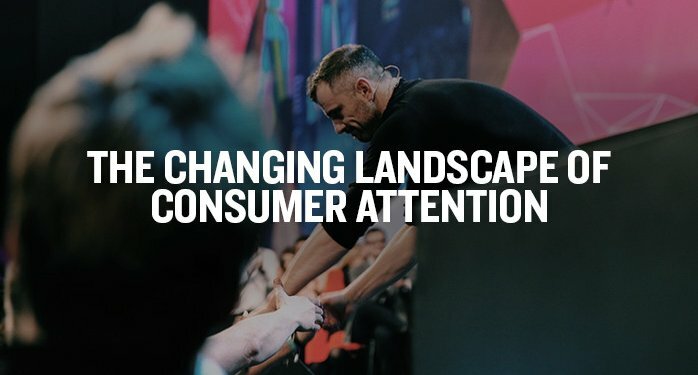 A perfect way to connect a brand to the Millennial's desire to enjoy experiences over things (and to share those experiences on social media). Heineken has done this well recently too. If you like to stay up on content marketing, click here to read the full article. It's a long one, but full of good stuff. "The biggest pain point of all to come out of the State of Content Marketing survey? I had been reading all the results with mild interest until those words stopped me dead in my tracks. You may think the source of that concern stemmed from the fact that such a thing should be easy to manage, but it goes deeper than that. Success with content is predicated entirely on your ability to consistently produce content that engages, resonates and adds value to your audience’s lives. And if producing that is the single biggest barrier then we have a problem! You see, investment in content is a waste of money if you don’t have a well-designed plan to deliver constant content. It doesn’t matter how brilliant your campaigns are if your audience has no other content to come back to and engage with." Leveraging customers and followers as micro-influencers is a key strategy for organic reach. A big part of our platform strategy is being able to share content via text. This is one of our favorite articles on this topic. Click here to read more. "SMS Marketing is a proven channel that allows marketers to effectively reach consumers. Email and direct mail are just too slow, and social media is too inundated with spam. With a 90 percent open rate, SMS gets your messages read faster than any other channel." "I'm positive that the future of marketing will continue to value UGC and that 'more authentic' user and employee generated content will be even more powerful." It's from 2009, but still a great talk (click here). All about the "golden circle" - the world's simplest idea. Why - How - What? Every time we watch this video we learn something new. At the time of this posting, this video on this website has 31,809,453 total views. People continue to watch and learn. Enjoy! Commission aims to improve disclosures in social media endorsements. Click here to read more. "After reviewing numerous Instagram posts by celebrities, athletes, and other influencers, Federal Trade Commission staff recently sent out more than 90 letters reminding influencers and marketers that influencers should clearly and conscpicuously disclose their relationships to brands when promoting or endorsing products through social media." An intriguing infographic compiled by Zazzle, based on the results of its 2017 State of Content Marketing Survey of marketers in the UK. © 2016-2018 newkleus™. All Rights Reserved.